It was the position of federal prosecutors that this ban didn’t undercut their right to go after those who cultivate and distribute the drug under federal law – even in states where marijuana was legal. But now, the 9th Circuit has clearly issued a response to that, which is a resounding: No. Of course, it doesn’t mean these defendants are entirely off-the-hook because the judicial panel did not outright dismiss the cases. What it did was remand the cases back to the lower courts with the order to give defendants a chance to prove their actions were in line with state law. Now this ruling only affects those cases that have been filed in the Western states and territories that are covered by the 9th Circuit. However, it is likely that other circuits are going to take note of this ruling, and it’s probable they will follow suit, if and when they are faced with the same issue. Justices also noted that the law remains subject to change by Congress, which could decide to appropriate funds for such prosecutions – potentially immediately. On the other hand, wrote Judge Diarmuid F. O’Scannlain, the temporary lack of funding might become a permanent lack of funds for these actions if Congress keeps this rider in the upcoming appropriations bills. 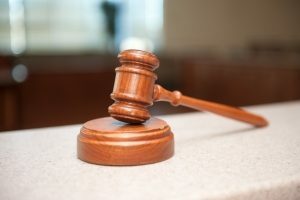 If prosecutors choose to appeal – and they haven’t said they will – they could do so before a larger panel of the 9th Circuit, or else before the U.S. Supreme Court. L.A. marijuana attorneys have said they hope this marks the beginning of the end for federal prosecutions of medical marijuana operators, cultivators and patients who are following state guidelines. In a recent high-profile case, federal prosecutors did choose to drop a civil forfeiture action against one of the biggest medical marijuana dispensaries in the country. However, the Department of Justice has continued to fight hard to be allowed to press forward with its criminal prosecutions. One of the cases involved in the review involves five defendants from Los Angeles County accused of operating four marijuana dispensaries and growing plants at indoor grow facilities in both Los Angeles and San Francisco. In another case, four defendants were accused of marijuana manufacturing after authorities said they discovered 30,000 plants on 60 acres of land in Fresno County. This is not to say prosecutors aren’t allowed to continue with these prosecutions. Rather, they aren’t being given the funds to do so.